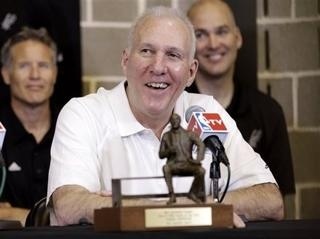 San Antonio Spurs head coach Gregg Popovich was named the 2011-2012 NBA Coach of the Year. 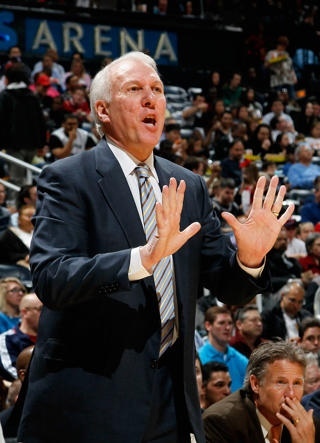 Popovich led the Spurs to a 50-16 record and the Western Conference top seed. Popovich was followed by Tom Thibodeau, Frank Vogel, Lionel Hollins, Doc Rivers, and George Karl in the voting.